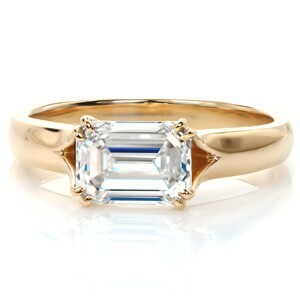 Design 3453 is the newest addition to our ever-growing selection of custom created engagement rings. 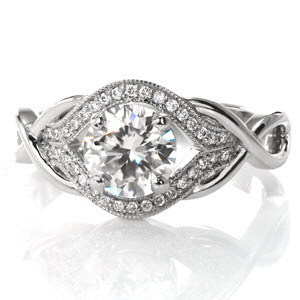 Here at Knox Jewelers we love any custom engagement ring that combines the clean lines of a contemporary setting with a little added flair of vintage detailing. 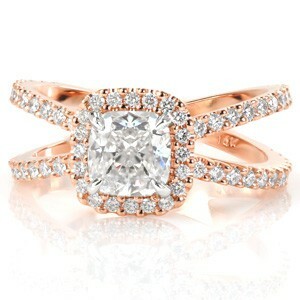 The band of the ring features a double row of micro pavé diamonds held in u-cut prong settings for extra sparkle. 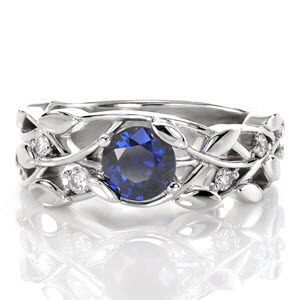 The band leads into a crown inspired center setting that arches between its six prongs. 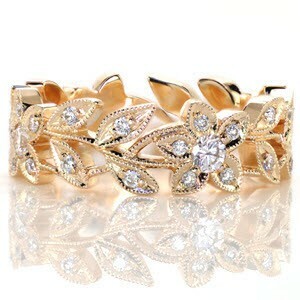 Bead-set diamonds drape along these arches and are outlined in milgrain edging. 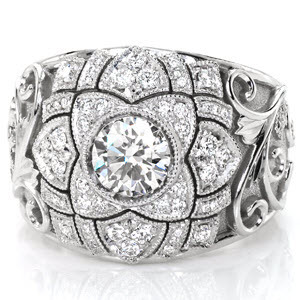 The vintage inspired center crown and diamond set band are the prefect pairing! 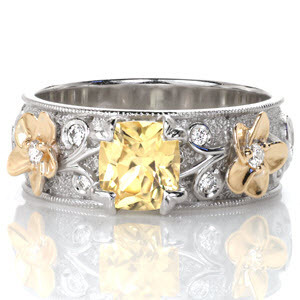 This custom design centers around a gorgeous round brilliant cut diamond. 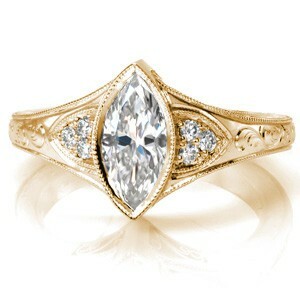 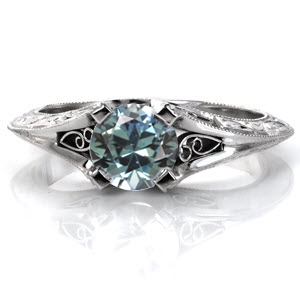 The round center stone is held in an elaborate six prong setting that draws inspiration from antique engagement rings. 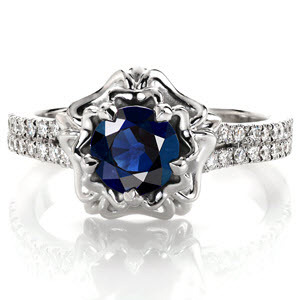 Knox’s ability to bring any dream engagement ring to life is illustrated in this breathtaking custom piece. 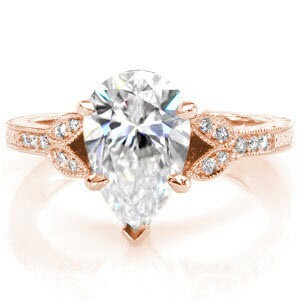 A classic outline with curving vintage details is the perfect way to describe Design 3453. 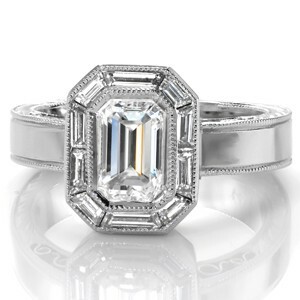 Knox hand finishes and outstanding craftsmanship will ensure that this diamond engagement ring will last a lifetime. 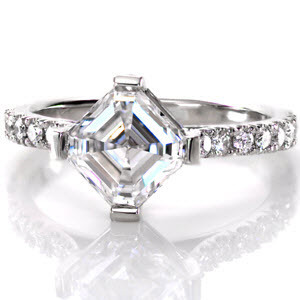 This outstanding double diamond band engagement ring can be recreated to accommodate any type, shape, or size center stones. 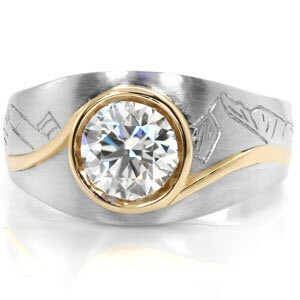 Contact Knox Jewelers today to custom tailor this design to your preferred precious metal and central gemstone selection to create your own unique engagement ring!